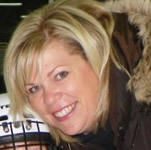 Achievements: As a Gold Level Test Skater and NCCP Level 3 Coach, Cathy has coached skaters at the National level and had private students compete Internationally as members of synchronized skating teams. In her 21 years of coaching, Cathy has previously worked privately with several minor hockey players that have gone on to play in the OHL, NCAA and the NHL. Philosophy: To create a solid foundation by learning to use the body and edges to generate speed and control. Achievements: Chris brings with him experience gained from an impressive hockey career, which started in the MHAL, then advancing to the St.Thomas Stars, the London Nationals and on to the OHL London Knights. We are excited to have Chris to share his knowledge behind his refined stick handling and powerful movement across the ice. Philosophy: Strong skating is the fundamental key to being a successful hockey player.